As we get to know you two in our first meeting, we'll be discussing any visions you already have for your engagement session. Some couples come into this meeting knowing exactly what style they're looking for and where they want to do it. More often than not, couples have no idea where to start, and that's perfectly ok! That is why you hired professionals to create the best pictures of you two possible. We'll first try to get a sense of what you two like to do together. Perhaps there's a special place you like to visit, a location that has a special spot in your hearts, or maybe even the location you got engaged. We travel a lot and are always looking for new location ideas. We'll propose some ideas and see if one catches your interest. After we settle on a location, we'll go to work researching anything particular about it that would be important for us to know. This includes ideal times of day to shoot, necessary permits, and equipment considerations. The choice of style is very much up to you. Some couples that are getting married outdoors often opt for a city style engagement session (or vice versa), simply to give them a variety of portraits. Some couples like to get really creative with their engagement sessions, and we're totally on board. We're up for nearly anything you can think of! Be sure to check out some of our other sessions to see the variety we shoot! The style of shoot that piques your interest was likely factored into the location, but there's a lot more to a shoot than that! Having your session in a location that you love and in a way that showcases the real you allows us to capture a true representation of your relationship, which makes for the best pictures! When it comes to wardrobe, we generally recommend bringing a couple of different outfits, perhaps one on the dressier side and another a bit more casual. Choose something that you feel comfortable and confident in. You might want to both try your outfits on the day before to see how you two look together. You don't have to be matching, but your outfits should complement each others'. We're more than happy to talk in detail about your wardrobe if you need further advice. Props are welcome as well. If you have any signage for announcing your engagement or wedding dates for "Save the Date" postcards, we can certainly incorporate them! Sometimes little touches like flowers, blankets, hot cocoa on a cold day, or something that holds sentimental value can really make the shoot. We'll be thinking of ideas for props as well to fit the style of shoot we're going for. 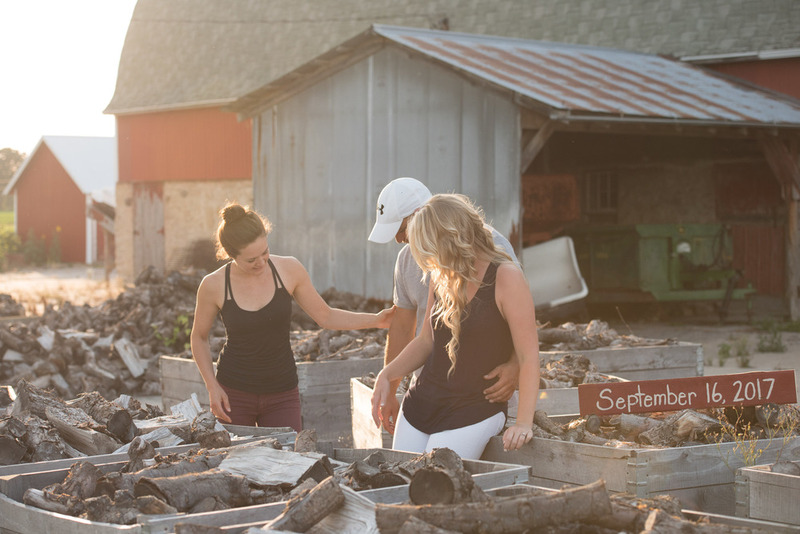 The engagement session itself is usually a lot of fun! An engagement session generally takes about 2 hours. We all walk around at our chosen location talking about your wedding plans and getting to know you two better. We select different scenes and talk you through some posing options. We strive for natural and candid looking pictures, so we may get you positioned in the scene and prompt some interaction while waiting to capture that loving look, laugh, or smile. With Castner Photography, you're getting a team so we can make the best portraits possible! We work together so we can pay attention to all of the little details: hair, makeup, and wardrobe fixing, subtle pose changes, visual distractions, proper lighting, and other artistic techniques we employ. Aside from the photos you receive from your engagement session, you're also getting important practice and preparation for the wedding day. You'll feel more comfortable in front of the camera and will be familiar with how we all work together. We find this invaluable to making the best wedding pictures possible. We also really enjoy getting to know you two better! After the shoot, it usually takes us about 2 weeks to cull, edit, and deliver your pictures via an online gallery. From that gallery, your friends and family will be able to view and order pictures if they please. You will be given a download link to save all of the full resolution pictures directly to your computer with full rights to print and share your images.